Laura is currently not available to accept new requests. My name is Laura Holmes, I'm a 23 year old artist living in Hollingdean, Brighton. I live in a spacious two bedroom flat with plenty of space for a small/med dog and any cat. I have grown up with both cats and dogs (great danes, saint bernards , jack russel) , only most recently have i started offering to care for them. 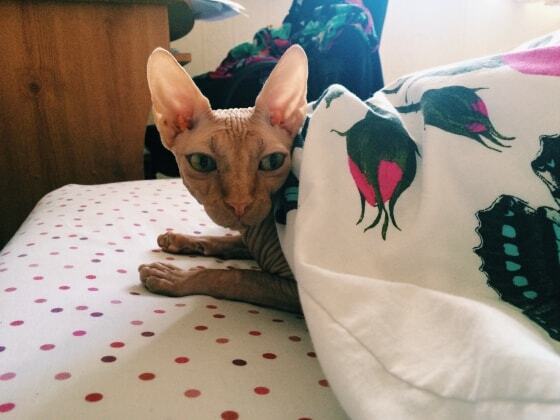 I have previously had a sphynx boy come to stay with me, who had a briliant time. Futhermore, there is a wide open green space nearby that any dog would love. I am utterly obsessed with cats and dogs, and am always ready to show them a kind, fun and loving time.